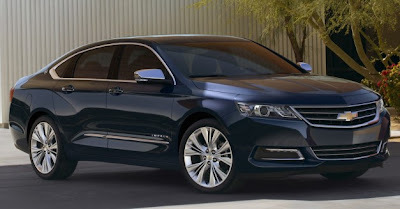 CarConvos: 2014 Chevrolet Impala SS? Autoblog’s spy photographers have captured the first shots of what could be either a hotter, or a greener version of Chevrolet’s full size contender. 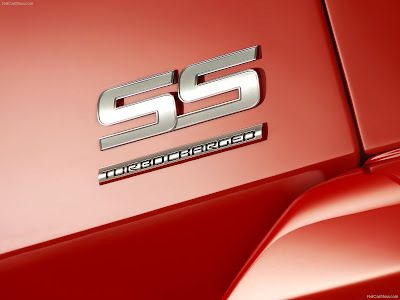 Inside sources have indicated that the car may wear the storied SS designation. The sources have actually listed an engine that the car will use, should their information prove to be true. The indicated powerplant is a new LF3 twin-turbo 3.0-liter V6, which could put out a potent 380 horsepower. These changes could also mean that contrary to reports AWD could be in the cards. 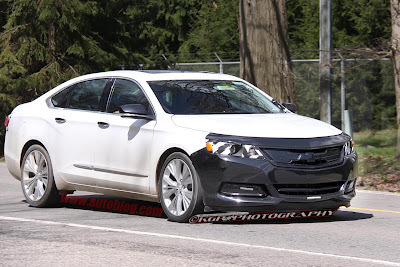 The Camo surrounding the headlamps and tail lamps could mean that all new units are destined for this car hopefully these will look less like a Honda product. The front fascia is tweaked slightly, and a new grille insert has found its way onto the car, once again hopefully this time it will look a bit more unique. I just really wish they would do something with the rear end, but perhaps on the production model we shall see an altered rear fascia as well. I already like this one allot better than the standard Impala, which was very disappointing to me.